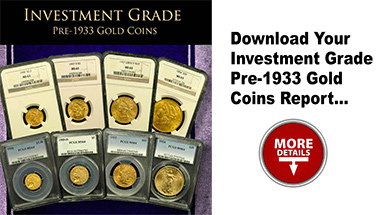 Certified Pre-1933 U.S. gold and silver coins in mint state grades are an extraordinary value in the precious metals arena, in our opinion. Currently, premiums over melt (intrinsic value of the coin) are the lowest they've been in many years. 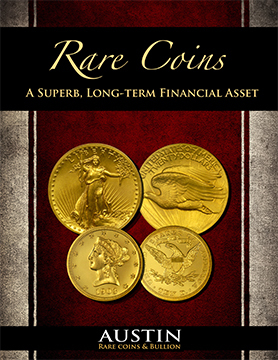 Each coin we offer has been graded by either PCGS or NGC and has been inspected for solid-eye appeal. Need help or have questions? 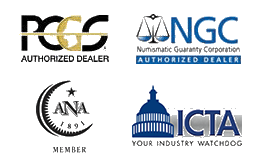 Just give us a call at 1-800-928-6468.